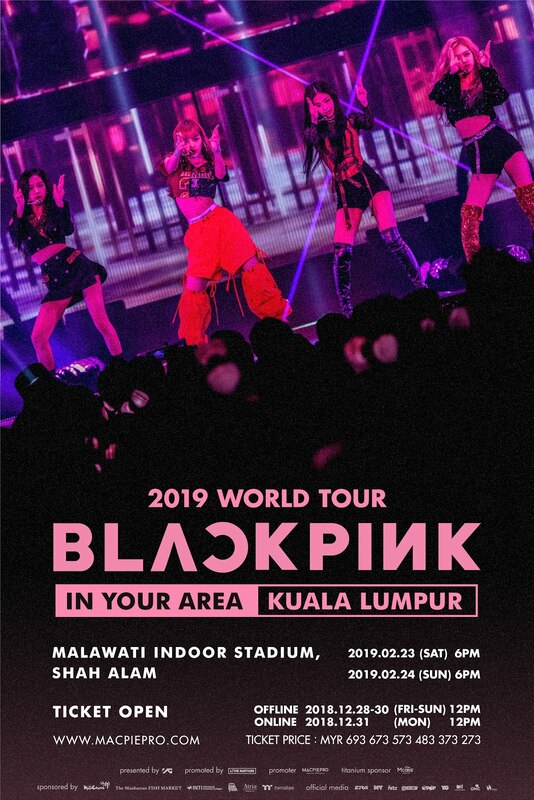 Last few days, organiser, MacpiePro announced BLACKPINK 2019 World Tour [IN YOUR AREA] Kuala Lumpur concert tickets has officially sold out and yesterday, they announced another surprise announcement that makes you go wild. Due to an overwhelming response, MacpiePro has heard fans calling for additional show to be held and has decided to organise BLACKPINK 2019 WORLD TOUR [IN YOUR AREA] KUALA LUMPUR concert a day after the first! 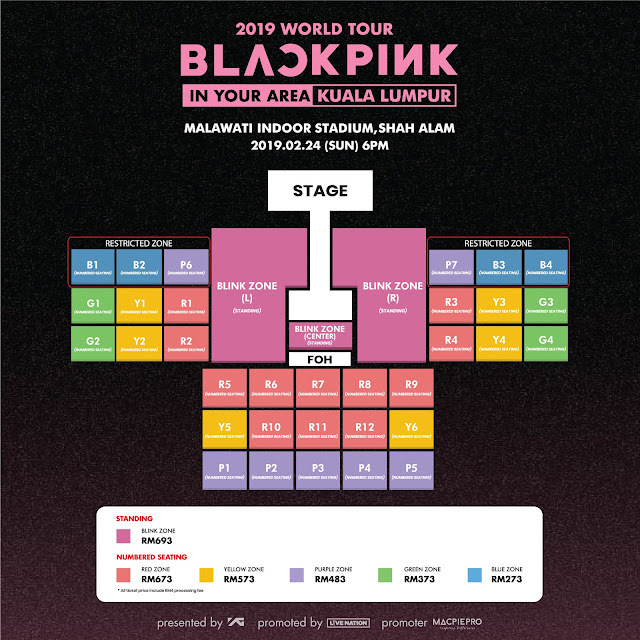 The additional show will be held on 24th February in Malawati Indoor Stadium starting at 6pm and the ticket zones and prices remain the same. The offline ticket sales will be held from 28th to 30th December 2018 at 12pm. 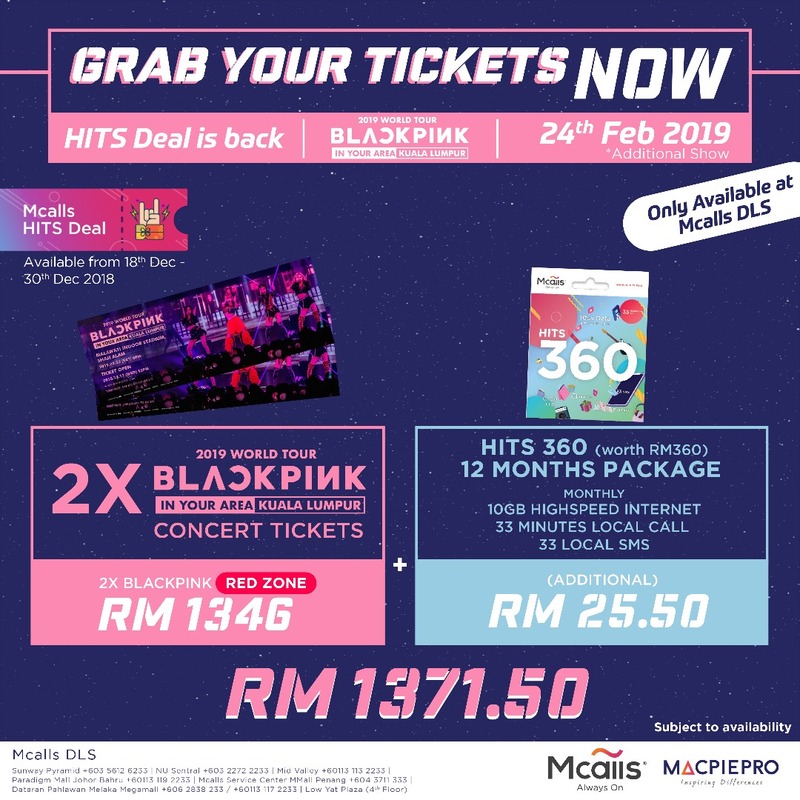 Online sales, however, will start on 31st December 2018 at 12pm at MacpiePro official website. 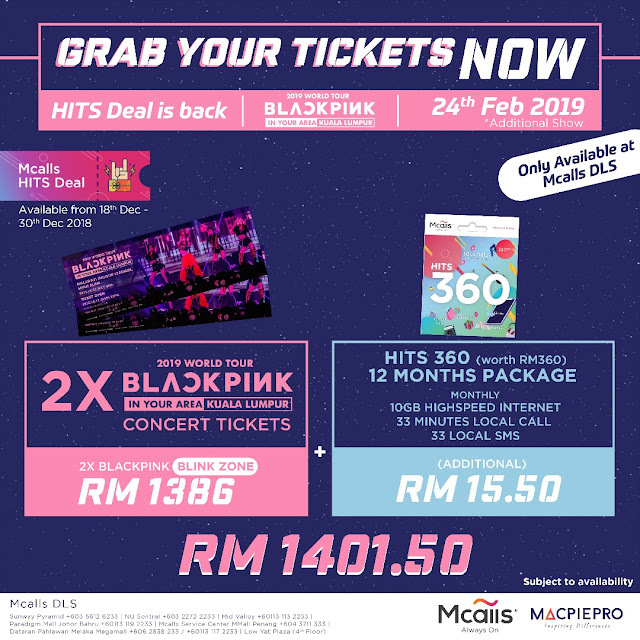 The HITS Deal is available to purchase from 18th December, 12PM to 30th December 2018 at Mcalls Digital Lifestyle Stores. Don't miss your last chance to meet BLACKPINK in Malaysia!